Below is a list of countries that have not been matched with Nepal. If you know a couple from any of these these country combinations, please tell them about our project. 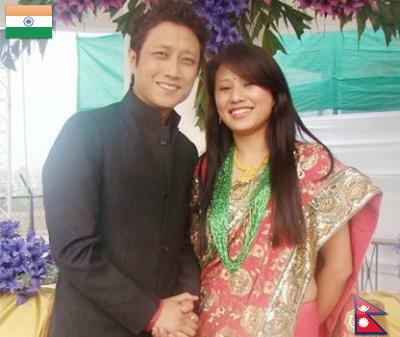 Indian Idol of Nepali origin Prashant Tamang with his wife Gita Thapa Magar. Tamang has tied nuptial knot with Magar of Nagland in India of late. Prashant Tamang has already acted in three Nepali movies.